Probiogen™ Men's Vitality Probiotic supplement is the first DNA-verified spore strain probiotic formulated with a complete balance of prostate health nutrients. 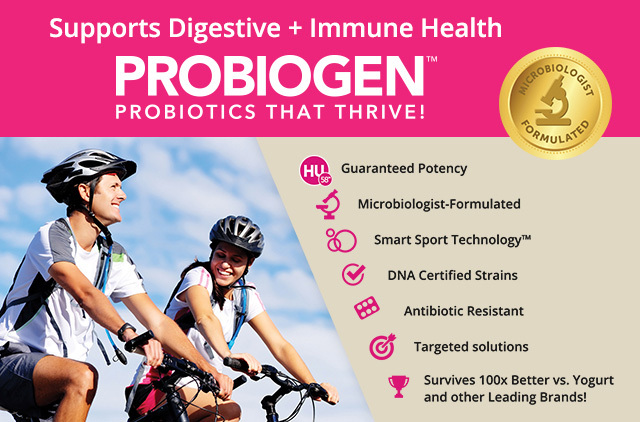 This unique formula supports digestive and immune system health by providing live, active Smart Spore Technology™ probiotics that are designed to survive digestion, helping to restore the balance of good bacteria for better health from the inside out. If you are pregnant or lactating, consult a healthcare professional before using this product. Store, in a cool, dry place. Do not use this product if the safety seal on the bottle is broken. Keep out of reach of children. I take this product in place of several different supplements that I used to take for prostate & gut health - it has it all in one capsule, and a great probiotic formulation that's made a big difference in my digestive comfort, I feel.